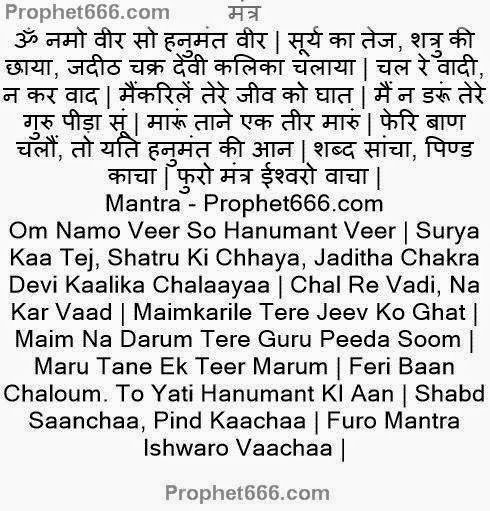 This is the Dushman Ko Muth Marne Ka Mantra and not a Muth Utarne Ka Ya Firane Ka Mantra, meaning a Mantra for doing Black magic on an enemy and not for removing or reversing a Black magic Spell done by an enemy. Yes, you are reading this post correctly, though, I normally give Protective Spells, and this is one such rare occasion, where I am writing about an Aggressive Voodoo Spell for causing harm and damage to an enemy. Sometimes, the enemy is so evil, that he has to be fought and paid back in the same coin and this is exactly the purpose of such fearsome Mantra. The Sadhaka can practice the experiment on an evil person and not on any other person, who may have shades of grey. The Siddhi Sadhana for this Mantra has to be done on the occasion of Diwali, Navratri, Holi, Sankranti, Vijaya Dashmi, a Solar of Lunar Eclipse or any other auspicious Tithi according to the Hindu Calendar. The Mantra Sadhana is straightforward, the Mantra has to be chanted 1008 times in order to Master it. A Rudraksha Japa Mala should be used in order to count the number of Mantra Chants. For practical use on putting a Voodoo Black magic Spell on an evil and unjust enemy, the Sadhaka has to take Urad Beans [Vigna mungo or Black Gram or Black Lentil in the English language] in his right hand and infuse the Black Gram with the Mantra, by chanting the Mantra just once with total concentration. After this, the Mantra infused Black Gram has to be thrown in the direction of the enemy. This completes the Muth Marne Ka Prayoga. This is horrible! You should not print this. Why would you wish harm to anybody? It's not God's way. Great prayog ,appreciate for this post. Could you please explain what would happen to enemy, will this prayog leads to instant death or something else. As explained in the article, it is a most fearsome spell and the outcome will be destructive, even death. Sir I am personally very much anti to these dangerous remedies but is it not true that it is almost uncomfortable to throw black lentils towards one's enemy. Can it be done by throwing towards the main gate of his house , vehicle or towards his photo. 2) after attaining sidhi by chanting it 1008 times, can it be used ( as per article ) more than once ? The experiment has to be done only as explained in the article and the black lentils have to be thrown at the enemy. After gaining Siddhi, the Mantra can be tried on the same or different enemies as many times as the Sadhaka desires. In some Shabar mantras, word used is Iswari vacha and in some Ishwar vacha. Is it a mistake ? The wordings of Shabar Mantras are not standard, Ishwar, Ishwari or Ishwaro are commonly used words in most Shabar Mantras. Guruji ye mantra siddhi keliye 1008 mantra jaap ek baar me karna hai ya 3-4 dino me kar sakte hai? Please explain what color of asana, the color of asana to be used? What color of clothes the Japkarta should wear, and what is the best time of the day to perform the Japa? Should the asana be of woolen or even a cotton asana may be used? With regards; Devendra. That is not specified, you can use any color aasan or clothes for the Mantra Sadhana. The Mantra Experiment can be commenced on the morning of the specific days mention by me in the above article. Guruji if the enemy lives in chennai..then in which direction i can throw urad beans and also please tell me without taking the name of my enemy in mantra how the spell will work? The Beans have to be thrown in the direction of the enemy when you see him, you can practice any other Mantra, if the enemy is in another city. You know for which enemy you are performing the mantra experiment, so no need to ad the enemy name in the mantra. You can certainly perform this Mantra Experiment on Anant Chaturdashi, which is tomorrow for resolving your enemy problems, otherwise during the period prescribed in the post. Do we need to say Guru mantra before we can siddh this mantra ? Because for any mantra to be siddh the guru mantra need to be performed as per shastra. What if one doesn't have any guru. You didn't tell the consequences of this mantra and what is the guarantee that this mantra will work after siddhi ? All the information is given in the post, it should be performed only if the practitioner is sure of himself and not if there are ifs and buts in his mind. The mantra sadhana should be completed in a single day as described in the article. I started a mantra sadhana to gain sidhi on night of Sep 16, 2016. Some are saying it is a Lunar Eclipse and others are denying it. I am continuing sadhana to gain sidhi. Please clarify, whether it is a lunar eclipse or not. So, that I can decide on continuing the sadhana. There was a penumbral eclipse on 16th, but it is of no consequence for the Sadhana, you can continue with the Sadhana. Please use site search to find a suitable a mantra because many mantras for these problems are already published on the site. Sir can you please tell me about chawki bithana?? What does it mean?? And what all the effects of this? Sir, 1008 times means it will take time. Thus can a break for toilet/drinking water can be taken? Or once started leaving asana is not allowed? My enemy lives in another city far around 1600 kms. I tried many a times to solve the problem but he keeps doing Tantra-Mantras and keep troubling me. I got fade up. All my trials to make the enmity end went in vain. On the contrary, I not only claim but 100% true that my enemy only planned conspiracy and did everything bad to me. Still I forgave him and said to live and let me live. But he is not listening. Who are the deities in this mantra that carry out this spell on the enemy? Veer Hanumanji and Kaalika maa?